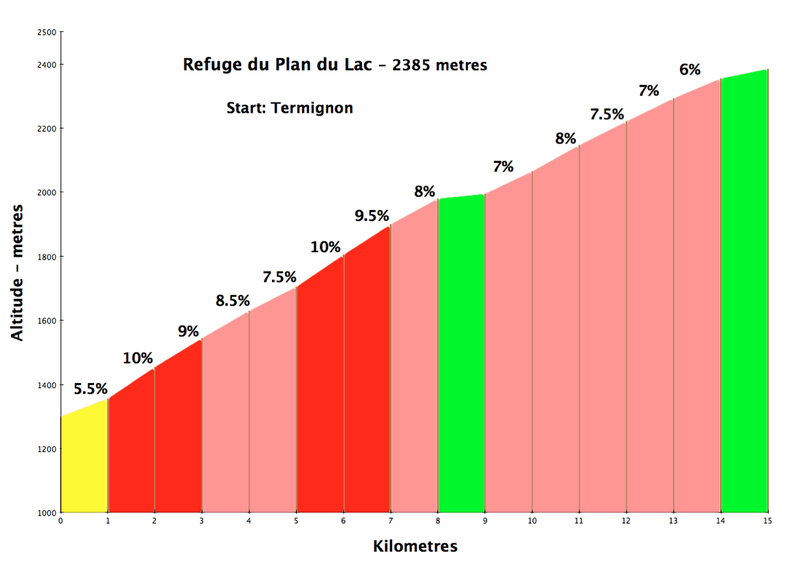 Plan du Lac is the 7th highest paved road in France at 2385 metres. 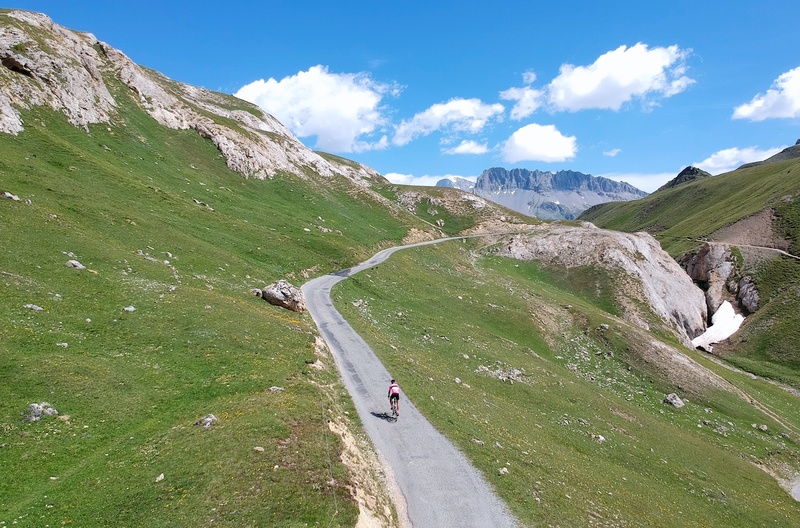 Cycling author/TV/podcast pundit Daniel Friebe once nominated it as a candidate for best “unknown” paved Alps cycling climb above 2000 metres. That’s a good call. 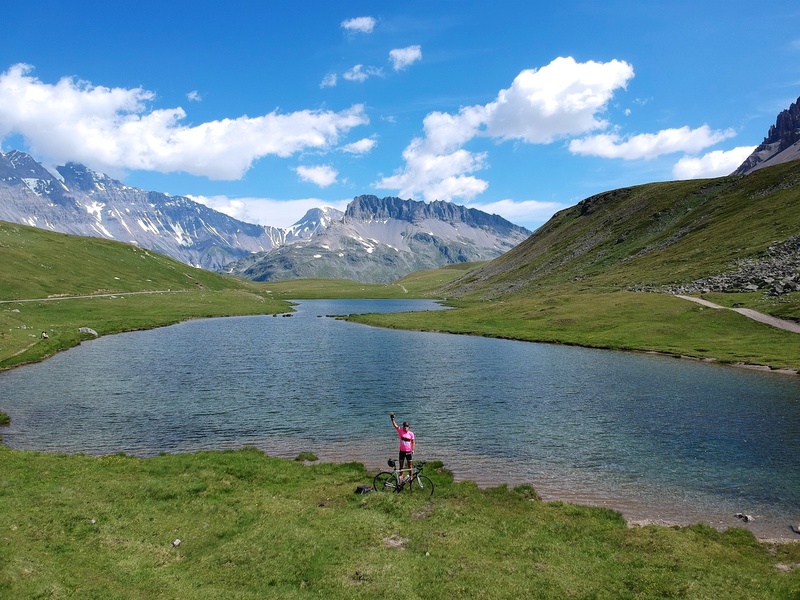 Located in the Haute-Maurienne, Plan du Lac begins close to the starts of both Col du Mont Cenis, and Col de l’Iseran (highest paved mountain pass in Europe). 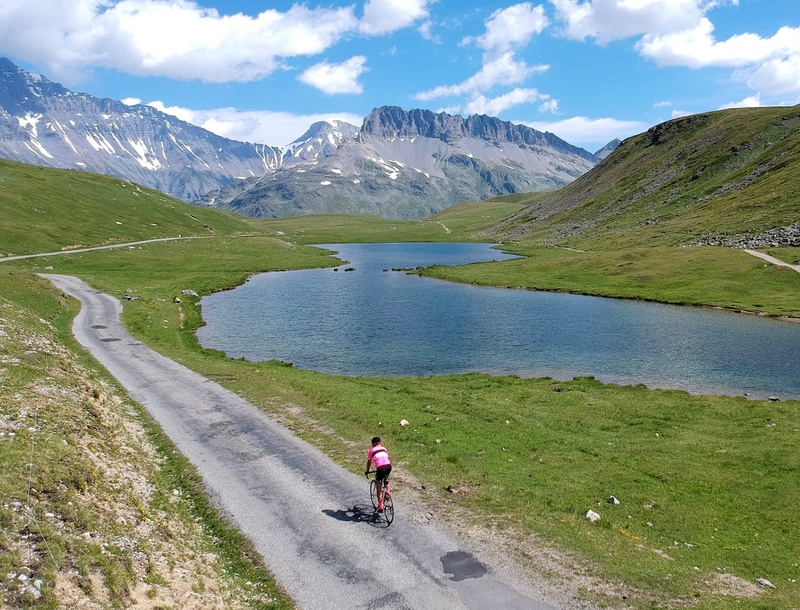 This is cycling country. There were storms in the afternoon forecast so my plan was simple: Start in Termignon. Cycle to the lake at the summit. Then simply descend while stopping to take a bunch of drone photos. 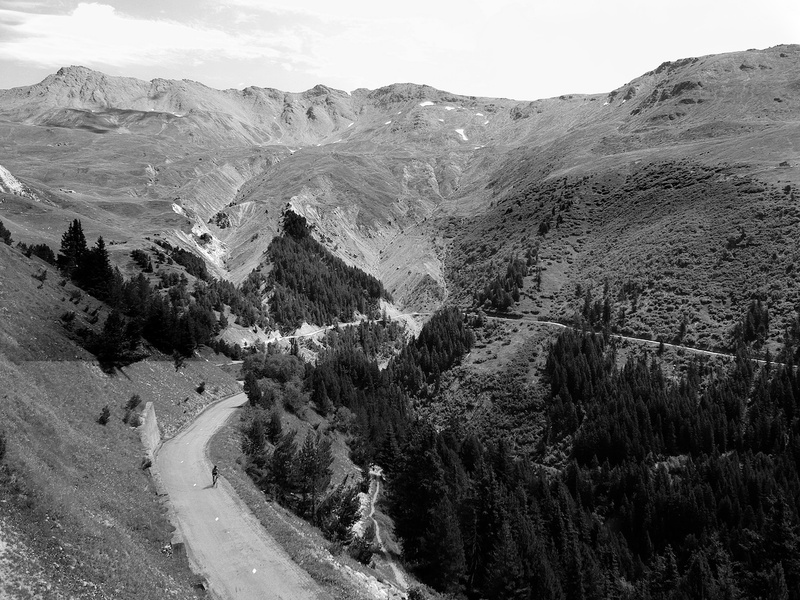 The toughest kilometres are all in the first half of the ascent as the road hairpins up through a forest. 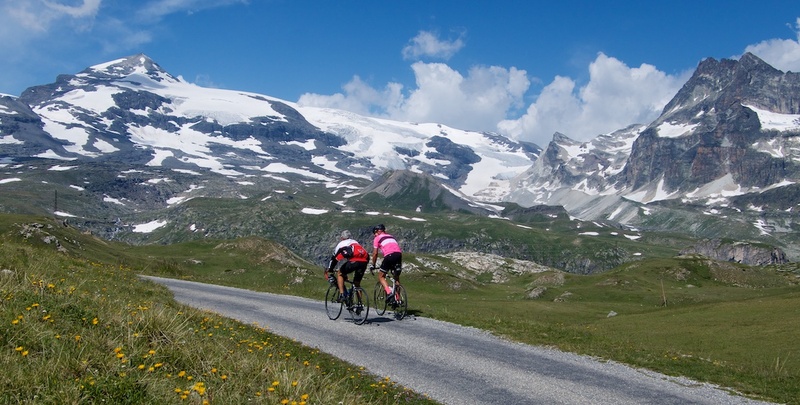 Throughout the ride are great mountain views of La Dent Parachée and several glaciers beside it. The road is quiet but by no means empty, as there is lots of great hiking here. But I found it peaceful enough and always stunning. 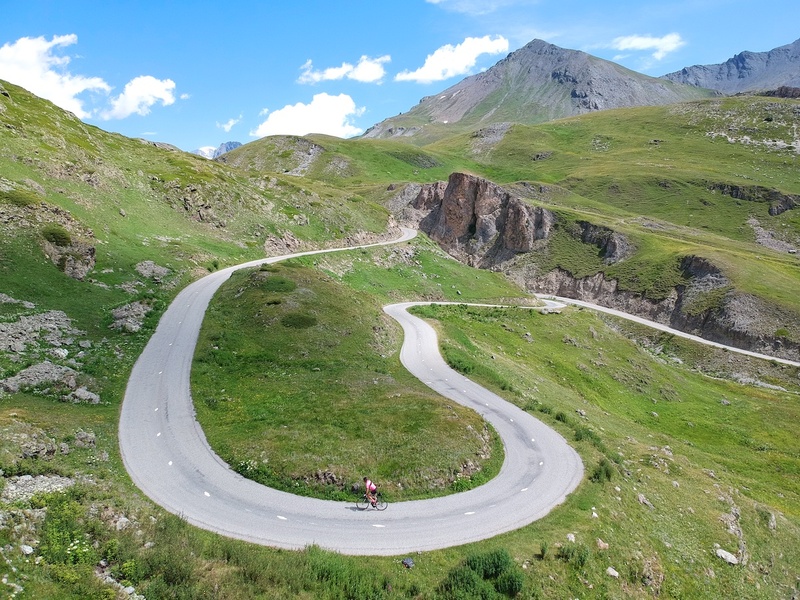 The flat part of the route mid climb (there’s even a small descent) is a fabulous horse-shoe stretch around an amphitheatre shaped valley as the road rises above the tree line. Next, as the map below shows, the road starts hairpinning in all directions. It’s beautiful and fun. Perhaps a kilometre from the lake at the summit is a large parking lot – there is lots of hiking here. Cars are not permitted higher. At the summit is a lake, and restaurant. A badly paved road does continue briefly down the far side, but soon ends (I explored it the only other time I cycled here). This ride is a dead-end. 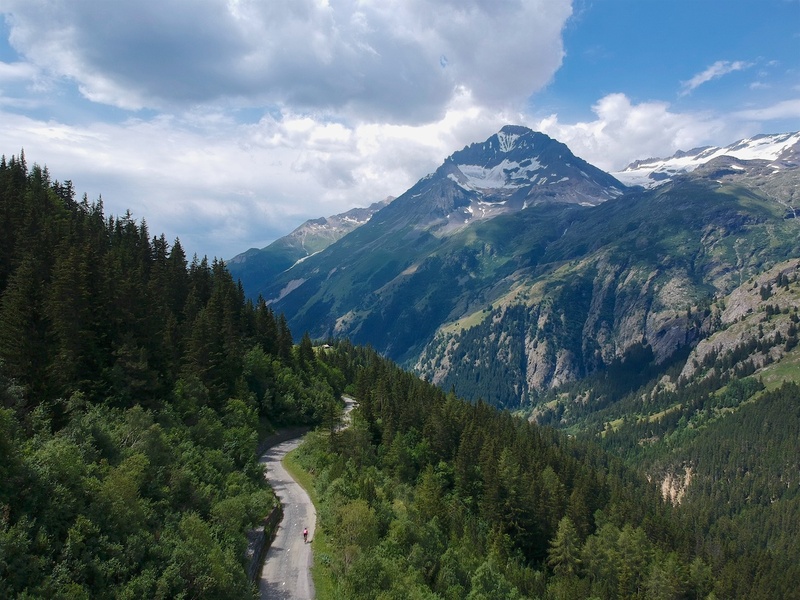 This lesser known climb is simply challenging, high, and gorgeous. Worth visiting. 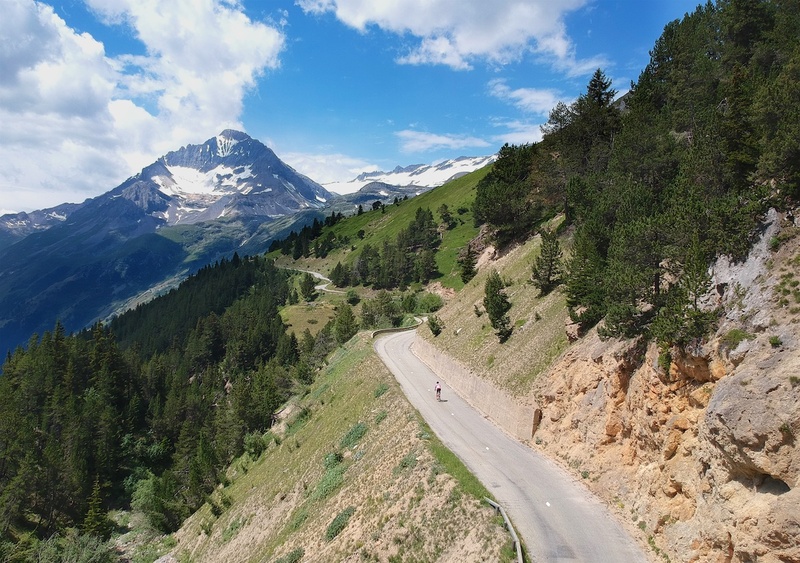 The Maurienne Valley is home to many of the best climbs in France (Galibier, Madeleine, Glandon, Croix de Fer, etc. See here for 15 great rides.